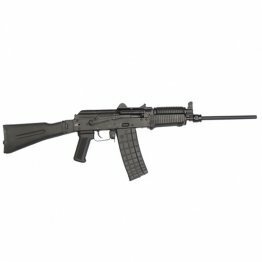 SLR-106 5.56x45 caliber rifles are top notch Bulgarian made stamped receiver semi-automatic variants remanufactured by Arsenal Inc in Las Vegas Nevada. 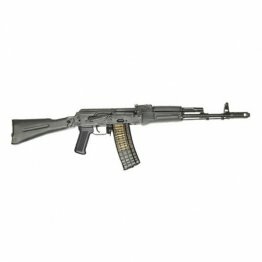 All SLR-106 rifles feature original Bulgarian made 1mm stamped receiver original Bulgarian chrome lined hammer forged barrel US made anti-slap double stage trigger group US made mil-spec. polymer stock set with stainless steel heat shield left-side folding solid polymer or metal buttstock and trapdoor for cleaning kit 800 meter rear sight leaf. 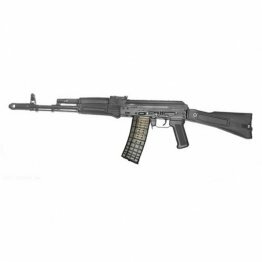 The SLR-106F and SLR-106FR models come with front sight block with bayonet lug and 24x1.5mm right-hand threads gas block with bayonet lug removable muzzle brake and in black or desert sand color. 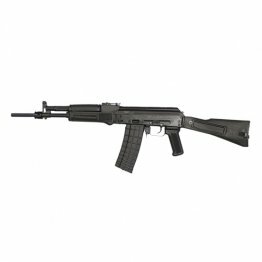 SLR-106UR model comes with a front sight block / gas block combination and short gas system (Krinkov). 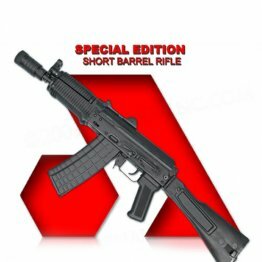 The SLR-106FR SLR-106CR and SLR-106UR come with side mounted scope rails for attaching any standard scope mount such as Arsenals SM-13 mount.